If the gutter system on your Evansville, Indiana, home has been leaking, clogging up, or just performing poorly, it’s probably time to have it replaced. Fortunately, the home improvement professionals at 31-W Insulation are here to help. For more than 40 years, our team has been installing durable gutter systems on homes throughout the Midwest and beyond, so if you’re looking for a reliable company to get the job done right, look no further than 31-W.
With more than 20 colors to choose from, including terratone, clay, copper, and linen, you will be able to select the gutters that best complement your home’s aesthetic. To ensure that our rigorous workmanship standards are upheld, we only rely on our extensively trained company employees to install our gutter systems — we never subcontract jobs out. 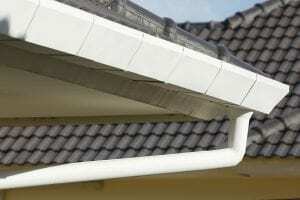 This way, when you partner with 31-W for gutter installation or replacement, you can be confident that the job will be completed by experienced home improvement professionals who will treat your home with the care and respect it deserves. If you would like to learn more about having one of our seamless gutter systems installed on your Evansville-area home, contact 31-W today.